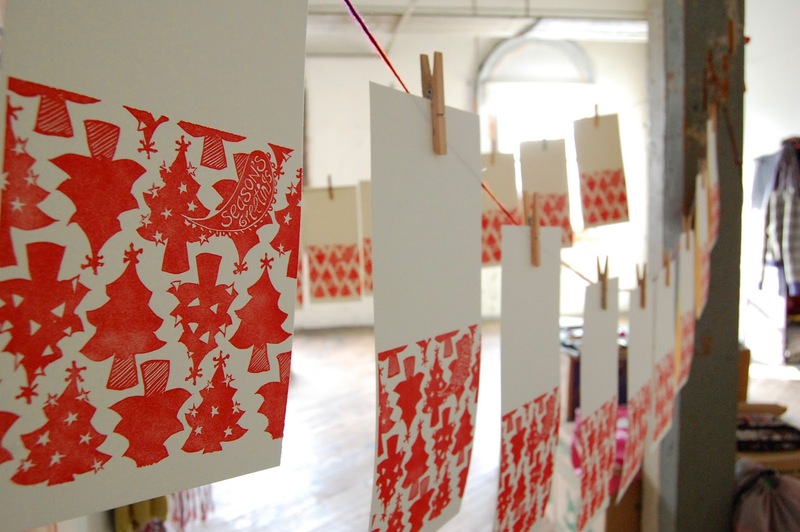 Here's an in progress image of my new hand-printed cards. Details will be available soon! I like your drawings and "bunnie" even more! Céline: Thanks, I liked browsing through YOUR blog!